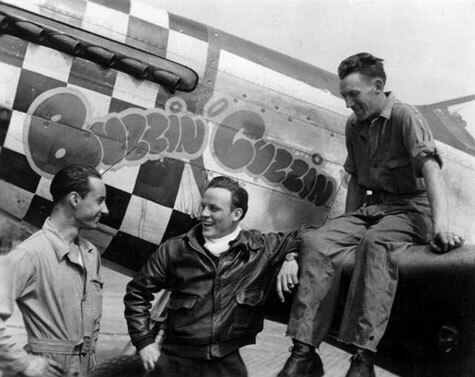 P-51 Mustang serial number 44-84753 was delivered to the 412th Fighter Group in 1945, between V-E Day and V-J Day. 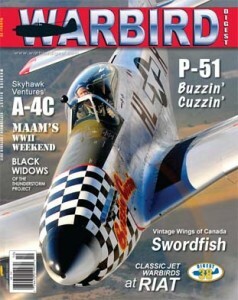 Based in Georgetown TX, this plane is one of only about 150 P-51’s still flying today. 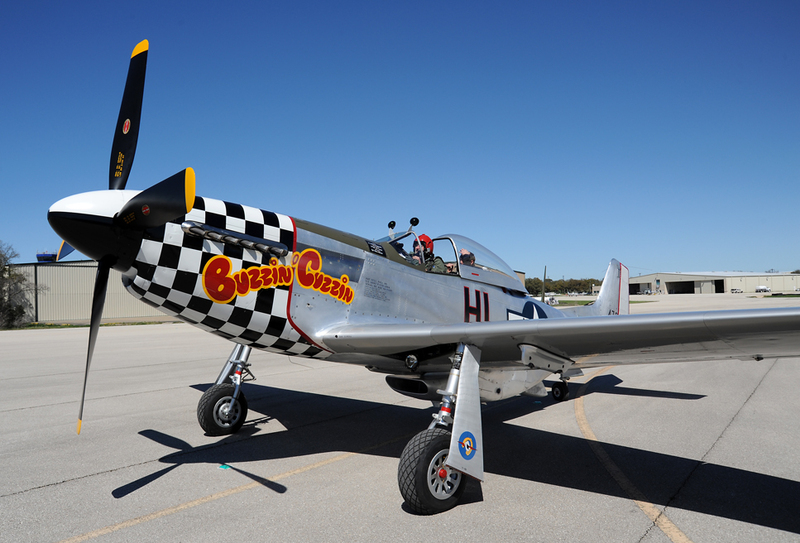 After a recent restoration, it now carries the paint scheme of another P-51 that flew with the 78th Fighter Group in Duxford England during WWII: Buzzin’ Cuzzin, piloted by Col. William Bruce Spengler (1924-2011). 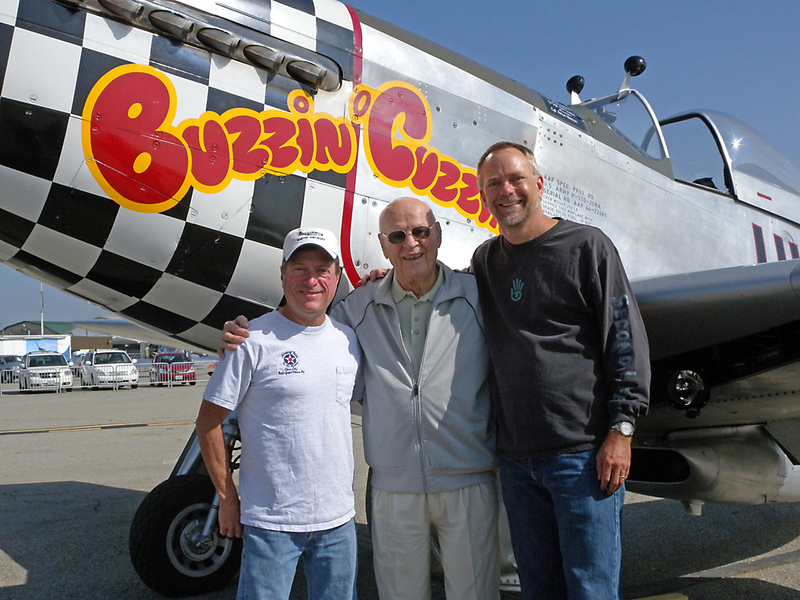 WWII fighter pilots Huie Lamb Jr. (left) and Bill Spengler (right), November 2011. 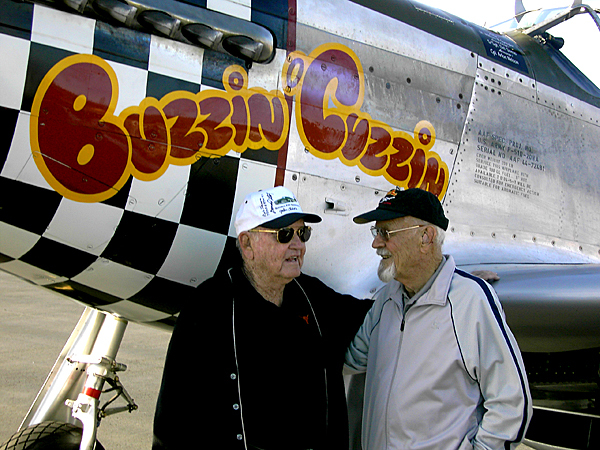 Huie and Bill met at Duxford Air Base during the war; Huie flew P-47s and P-51s. For more on Huie’s story, go to the Etta Jeanne II page.